Whether you have ants in your kitchen, fleas in your living room or bed bugs in your bedroom; insect pests are a nightmare to live with and can be a consistent problem to fully resolve if left untreated or ineffectively treated for an extended period of time. 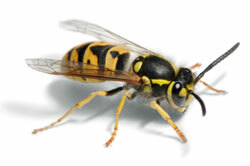 Insects are extremely common within household and are commonly seen as a lone fly or wasp in homes and commercial properties, however in some instances the population of the insect can reach its hundreds, hence the requirement the insect pest control. So if you believe you have an insect infestation in your home or business, and would simply like it to go away, simply call your local Pestforce technician below on 0330 122 2962 to resolve your insect problem.